Get Out is about a black man, Chris, who is going with his white girlfriend, Rose, out of town to meet her parents. While he is there, he notices strange instances that put him on edge. All of the black people he comes in contact with act strangely and “white” and all the white people he comes in contact with seem to only be interested in him for his physical attributes. Jordan Peele intended for the movie to be a façade for the actual issues occurring in twenty-first century America. Get Out shows the unintended racism and Caucasian prejudice against black people (i.e. quotes from the movie include, “I would have voted for Obama again if I could”, “Black is the new fashion” and “Is it true what they say…?”) and the obvious change of tone when it comes to race (i.e. This journalist’s way of describing the movie: “British actor Daniel Kaluuya is Chris, the black boyfriend of Rose, a beautiful young white woman played by Allison Williams (from Lena Dunham’s series Girls)”-The Guardian). 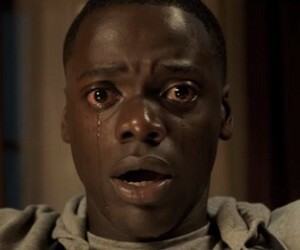 Get Out originally had a 100% on Rotten Tomatoes, along with two other films that date back to the 50s and 20s, but due to this critics critique, it dropped to a 99% and people were outraged. With an overall 8.3 rating, Get Out continues to rise in charts and educate people on the modern issues that need to be addressed.